Canadian parts giant Magna International has opened the new Magna Composites Center of Excellence in Esslinge, Germany, in an effort to help European automakers meet increasingly stringent emissions requirements. The centre will primarily focus on developing lightweight structural components, such as vehicle subframes, and exterior body parts, such as door panels and hoods. Several European automakers are pursuing joint development projects with Magna at the new centre, the parts maker says. One automaker is interested in investigating advanced composites for use in structural rear vehicle modules, and another wants to look at composites for vehicle subframes, Magna said in a statement. "Lightweight composite parts can deliver weight reductions of 30 to 60 per cent over steel," Magna Exteriors President Grahame Burrow said in a statement. The new centre has a new 2,300 metric ton Engel V-Duo press that Magna says is ideally suited for thermoset compression molding of reinforced plastic or sheet molding compound materials. It enables development, demonstration and testing of full-size automotive parts using a wide range of thermoset composite materials and compression molding process settings. The press also links directly to a testing laboratory where temperature cycles, climatic cycles, various static and dynamic tests, and microscopic examinations are performed. 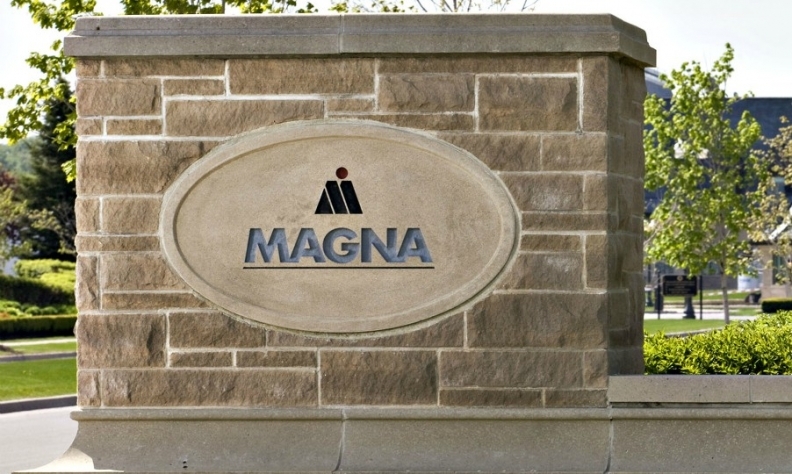 Magna opened a similar Composites Centre of Excellence near Toronto in 2010 in partnership with the National Research Council of Canada. Notable projects there include a carbon fibre hood developed for the 2016 Cadillac V-Series and a current project with Ford Motor Company to test the feasibility of carbon fibre vehicle subframes for possible mass production.